Transitions enthusiast H.E. Rybol is back with her final post of 2016. Are you already thinking about trips you’d like to make in 2017? Maybe you’re thinking about climbing Mount Kilimanjaro? In which case you’ll find it inspirational to meet Eva Melusine (Sine) Thieme, traveler, writer, and author of the hilarious memoir Kilimanjaro Diaries: Or, How I Spent a Week Dreaming of Toilets, Drinking Crappy Water, and Making Bad Jokes While Having the Time of My Life, about climbing Africa’s highest mountain with her teenage son. Born in Germany, Sine—whose name is not pronounced like “mine”—has moved across the world seven times, “lugging progressively more stuff and family members along the way,” as she puts it on her author site. Most recently, she and her husband, also German (they met in Stuttgart), spent three years in Johannesburg, South Africa, with their four children. At that time, Sine started up her popular blog, Joburg Expat, as a space for recording her adventures—ranging from her campaign to help baseball gain a foothold in an African township to a series of hair-raising encounters with lions, great white sharks, and the Johannesburg traffic police. Sine says her next book will be about a road trip through Namibia with six people in a five-person car. Welcome, Sine, to Culture Shock Toolbox. So where on our beautiful planet have you lived? I was born in Germany where I spent the first 16 years of my life. I then embarked upon a year as an exchange student in the United States, arriving full of wonder in the Deepest South of Mississippi, marveling at such novelties (to me) as cordless phones, giant TV screens and drive-through fast food. My love for America kindled and confirmed, I returned after my undergraduate studies for an MBA at the University of North Carolina together with my also German-born husband. We have since moved—with an ever-growing entourage of kids—to Singapore, Wisconsin, Kansas, South Africa, and now Tennessee. Having been naturalized in 2010, I don’t consider myself an expat in the United States any more. My most memorable time of feeling like an expat came when we lived in Johannesburg with our four children, from 2010 to 2013. It sounds like a beautiful love story, what you said about the United States! In the context of your many cultural transitions, did you ever put your foot in your mouth? The most embarrassing—because I was a self-conscious teenager still learning English—was the time when, as an exchange student in Mississippi, I insisted that I wanted “mustache” with my burger. I had of course confused the word for “mustard”—and it didn’t do my perfectionist self any good to be relentlessly teased about it by my younger host siblings for months on end. Any stories from your time in South Africa? Nowadays I’m not easily embarrassed, but my kids make up for that with their exponential embarrassment on my behalf, which, I’m convinced, comes with the Expat Mom territory. Take, for instance, the school sports scene in South Africa. My daughter Impatience—that’s her blogging name—was playing in a netball match, actually playing pretty well considering she’d never played the sport before in her life. But I was going crazy because no one was going for the rebound after shooting at the basket. “Get the rebound!! !” was naturally what I yelled from the bleachers for an entire half, like a good American mother with Olympic ambitions for all her children, no matter how lowly the league. Well, as any netball players out there will know, it’s not called a “rebound”. It’s also apparently not something you can “get” willy nilly, because there is some kind of zone around the basket or perhaps the goal-shooter—I learned there is actually a position called goal-shooter that comes with its own lettered t-shirt—into into which you can’t extend your arms. Impatience later informed me of this technicality in hushed tones so that I would abstain from any further “encouragement” from the sidelines. South African mothers do not seem to provide such encouragement at all, I came to learn. How did you handle that situation? Would you handle it differently now? What tools do you think are most useful for adapting to situations like these? I think in general the key is to relax waaaaay more than we typically do, not just as a tip for expats but a life skill in general. None of this is really so important, so instead of watching my kid with eagle eyes to see how well she plays, I should have socialized with the other mothers much more and dug into the goodies piled onto tables for “tea time,” which had been supplied by some well-meaning parents. South Africans are good at relaxing, as I learned during those years. “Sit back and observe what locals do” is usually a pretty good guideline when arriving in a new land. Definitely! Looking back again on your many transitions, can you recall any situations you handled with surprising finesse? I don’t profess to have much finesse. So just abstaining from committing a similarly embarrassing blunder in front of another one of my kids can perhaps count for such a success story. One day I was tempted to walk right into the teacher’s lounge at the prep school, brimming with indignation, to tell my son Jabulani’s geography teacher that no, contrary to her firm belief, the United States does NOT have 52 states, never had, and probably never would. And, while we were at it, zero degrees north is just as good an answer on the exam as zero degrees south, if she really insisted on splitting that particular hair. Jabulani blanched at the prospect. He begged me to abstain. It would be SO embarrassing if I talked to the teacher like that, which is apparently something South African mothers don’t do. So I listened to my child—another good rule for parents of Third Culture Kids to follow. They are so much more attuned to the perils of putting a foot in your mouth. Yes, that’s actually something Tanya Crossman wrote about in her book, Misunderstood, which was featured on this site last week. Yes, if you think about it, a ball box is indeed a box containing balls, haha, and should we read anything into the fact that South African “ballboxes” are about twice the size of their American counterparts? Hahaha. I’m imagining you might say “sense of humour,” but if you had to give advice to new expats, what’s the tool you’d tell them to develop first and why? Maybe I’m biased because I’m a writer, but I’d actually say the most important tool as an expat is to start writing. Emails to your friends, Facebook posts, a blog, whatever it is, it will lighten your mood tremendously. It will shift being afraid of what’s new towards seeking out the new—because you have an audience and a story to tell. It will turn frustration at yet another long wait at an incomprehensible government office into almost giddy suspense as to what ridiculous thing might happen next, and how to best put it into words to make your readers back home burst into laughter. How did you feel when you came back to the United States after living in Africa? What was “reverse” culture shock like for you? It was worse. 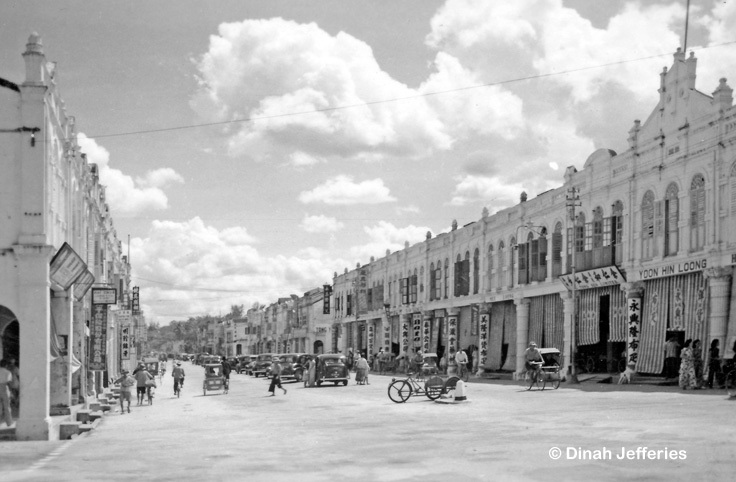 Before, there was the excitement about living in a new country, coupled with the benevolence you feel towards a people you don’t completely understand. You give them the benefit of the doubt. They might seem a little quirky and weird, and you might not understand all they’re saying, but they smile at you and they’re interesting. Plus, the sun is shining and someone is ironing your laundry at the house, and that someone is not you. But when you return “home” you feel like you understand everyone far too well, and you don’t like what you think you know about their psyche. They’re all too shallow, too pampered, too full of their First World Problems, you think, and there can’t possibly be anything in it for you by getting to know them. You pine for the friends you left behind in the country you left behind, and nothing seems like it will ever be quite so fascinating and exciting again in your life as it once was. Can you recommend any tools for handling (reverse) culture shock? The key is to treat your home country like any other expat location—with curiosity, an open mind and heart, and a willingness to adapt. You have to overcome your own snobbishness to realize there are wonderful people everywhere in the world, and only then can you form new friendships, find new passions, and move on with your life. That’s good advice: it’s important to find new passions. You might have cage dived among great white sharks and climbed Mount Kilimanjaro as an expat, and now you might have to settle for the much more mundane sport of tennis upon returning home. But let me tell you: perfecting your forehand is just as challenging and rewarding as living abroad. I’m still trying to find an equally convincing story about the laundry I’m now back to folding myself in a country without domestic help. I’ll get back to you when I come up with it. Thank you so much, Sine, for taking the time to share your stories and insights. As you say on your blog, “If life always went exactly as planned, there would be no stories. If you look at it that way, a crappy day can be the greatest gift!” Such a wonderful motto to live by, abroad or at home! Displaced Nationers, I hope you enjoyed this interview. Did you turn any frustrating moments into stories? Let us know! And if you like Sine’s prescriptions, be sure to check out her author site and her blog. You can also follow her on Facebook and Twitter. As ML just said, this will be my last article for TCK Talent. I’ll be moving on to devote more time to my solo shows, workshops, and acting career. Starting in September, the column will be carried on by Dounia Bertuccelli, last month’s multi-talented interviewee. I know the column will thrive under her charge. As ML also said, for my last post I’ll be presenting an account of the journey I made to Singapore in April to perform Alien Citizen: an earth odyssey—my one-woman show about growing up as a Third Culture Kid of mixed heritage. It was my first time taking the show to Asia. I performed it for Third Culture Kid (TCK) high school students and their parents (many of whom had also been TCKs), teachers, and administrators, at two international schools. Two miracles occurred on the flights to Singapore: I was in no pain despite a lower-back injury, and Dan (my husband and techie extraordinaire) and I both fell asleep! We normally can’t sleep on planes no matter what. Unfortunately, we also experienced something troubling: my ankles and calves swelled up alarmingly. We guessed that this might be due to my choosing the Chinese options at mealtimes, which were tasty…but perhaps a foolish decision on my part since I’m mildly allergic to MSG. Swollen body parts notwithstanding, we oooohed and aaaahed when we arrived at fancy Changi Airport, but were too tired to linger. As the cab drove us through the city-state to our AirBnB apartment, we were impressed by the many tall buildings and the lushly green urban landscape. visiting the lovely, peaceful Chinese Garden…in the pouring rain…with one umbrella. (Dan had accidentally left his in the Uber car.) Despite the deluge, we were impressed by the Confucius statues and the Bonsai Garden. taking the immaculate and orderly MRT (metro). We loved hearing the train’s prerecorded announcements in Standard RP English, Mandarin, Malay, and Tamil. trying a local dessert of shaved ice topped with red beans, black jello, and syrup—sort of a combo of Ice Kachang and Grass Jelly. Super-sweet! experiencing Singapore’s favorite breakfast/snack at Toast Junction: kaya toast (sugar-coconut-buttered toast) served with two soft-boiled eggs, dribbled with a little bit of soy sauce, and a cup of hot coffee with condensed milk. Even if you’re not a fan of soft-boiled eggs (neither am I) or milk in your coffee (neither is Dan), we’re here to tell you that the whole combination is fantastic. On the first performance day we were up at 5:30 a.m. (The horror.) Our cab took us to Canadian International School in the pre-dawn darkness. In the impressively large and beautiful theatre, the school’s cheerful stage techie helped us to set up. I was warmly welcomed by a few faculty and admin members—and then the 9th through 11th graders started pouring in. At first the audience was very quiet yet attentive. Some whispering began after 20 minutes and slowly grew louder until there was a low murmur toward the end. Nonetheless, the students giggled and laughed at various appropriate places, and at the curtain call I heard a few hoots of appreciation along with the applause. This was a relief because I rarely know how the show has been received until I take my bow. Afterward, drama teacher Julie and a slew of ATCKs (who are now moms to TCKs!) thanked me repeatedly for bringing the show to the school. I was especially validated by Julie’s appreciation of the script and performance since she’s a fellow theatre-maker. As has happened after all of my performances, audience members approached to tell me about their own intercultural, nomadic lives and which parts of the show resonated the most for them. One of them was a friend of a fellow Writing Out of Limbo author—thus proving how small the world is! I loved hearing American accents from the non-US citizens and non-American accents from the US citizens. It made me feel like I was among my people, with that particular vibe of an international-school crowd, again. My dear college friend Kikuko flew in from Tokyo just to see the show and flew back directly after, which blew my mind! I learned later that the head of the school and the secondary school principal both enjoyed the show as well—always affirming to receive praise from the “top admin.” I will forever be grateful to Canadian International School for giving Alien Citizen its Asia Pacific debut. As usual, my adrenaline was still pumping after the show, so Dan and I headed off to the Singapore National Museum. It had beautiful artifacts and displays, dense with information…and then we went home and crashed. On our day in between performances, we explored Little India. We saw our first Buddhist and Hindu temples, all of which were gorgeously colorful: Leong San See (Chinese Buddhist), Sakya Muni Buddha Gaya (Thai Buddhist with a huge Buddha statue), and Sri Srinivasa Perumal (Hindu). Each was a marvel for uninitiated us. We also saw the Sultan Mosque, which was more modest than the mosques I’ve toured elsewhere, but very welcoming to visitors. It was another warm day and the humidity began to take its toll. Still, I enjoyed seeing the brightly painted two-story houses all walled together (like the one-story ones you see in Guatemala and other Latin American countries), with open shutters on the upper floors like in Cape Town. When the humidity became overpowering, it was a pleasure to duck into a 7-Eleven (!) that blasted air conditioning—a/c is paramount in Singapore. We had lunch at Muthu’s Curry, where the delicious food was served on banana leaves. After waddling out we took an Uber to Arab Street and walked by tons of shops on the pedestrian road. At Sifr Aromatics I bought some blended-in-person Shadowfax perfume, which I adore. The next day we went to Singapore American School for my afternoon performance. The high school drama teacher, Tom, gave us a warm welcome. I would perform in one of three theatres on campus, which had a luxurious backstage area—aisles upon aisles of dressing-room vanity mirrors and a full bathroom! The school’s theatre techies were very professional and helpful. For those unfamiliar with my work: I perform over 30 characters (including myself at different ages), speak five languages in it, and take the audience through six countries while I’m all alone onstage…with no intermission…for 80 minutes. It’s my job to make it flow and feel intimate, but it has never been an easy one. The next day: freedom! Now we could do whatever we wanted for the rest of the trip! We took the MRT to the old colonial district, where we visited the Merlion, Cavanagh Bridge, and the Asian Civilisations Museum. The latter had a fascinating shipwreck exhibit as well as a collection of gorgeous ceramics. The next stop was Raffles Hotel for high tea. We each indulged in two servings of tiered tea trays of finger sandwiches, cakes, and tarts. The meal also included a buffet of dim sum (! ), croque monsieurs, chicken pot pies, and scones. (By now you’ve figured out: I’m all about the food.) After stuffing ourselves to the sound of a musician playing musical theatre tunes on a harp, we peaked into the famous Long Bar. We decided against ordering an overpriced Singapore Sling and took an Uber home. The following day we visited Chinatown. We loved the Chinese Heritage Centre, which recreates what a shophouse was like in the 1950s—very immersive and expertly done. There were tons of places to shop for knickknacks. We had lunch at Fill-a-Pita, my high-school-mate Hassan’s eatery, where he served us delicious vegetarian Egyptian/Middle Eastern food. Singapore is a true hub for international folk. We then walked through the Singapore Botanic Gardens, which were lush and peaceful. (They are the only tropical gardens to be honored as a UNESCO Heritage site.) That evening we went to the famous Wee Nam Kee for a dinner of Hainanese chicken rice, Singapore’s wildly popular and yummy comfort food. The next day we visited Liang Seah Street, which was recommended for its young vibe. I enjoyed seeing my surname on street signs! We returned to Chinatown to visit Singapore’s oldest Hokkien temple, Thian Hock Keng, the interior of which reminded me vaguely of my extended family’s “big house” in Guatemala City (tiled floor around an open sky patio). We then walked to the Buddha Tooth Relic Temple with its splendid interior. We were privileged to witness our first Buddhist service there. That evening we went to the Night Safari, said to be the world’s first nocturnal zoo. Tip: get your tickets online to avoid a two-hour wait. It was fun to see nocturnal animals (and non-nocturnal animals, asleep) from all over the world as we were driven through on long trams. The elephants may have been the most thrilling sight. I had seen them and other animals on wildlife preserves in Kenya when I was 15, but that was a very long time ago. Alien Citizen’s final scene is set in Kenya, so there was a nice symmetry to seeing African animals on this trip. On our last day we returned to Orchard Road. This time the sun was shining and we could see why it’s sometimes compared to the Champs d’Elysees or 5th Avenue. From there we went to the Peranakan Museum, which is basically the mixed heritage/multiracial/multicultural museum of Singapore. I felt very at home! For our last adventure in the city, we took a Singapore River tour on a bumboat, the kind with a cheesy prerecorded commentary. I’m so glad we did, because we saw a completely different Singapore from the one we had been experiencing on the MRT and in cabs. It really is lovely along the banks of the quays and bays at twilight. We capped the evening off by going to the Flight Bar at the Marina Bay Sands, a Vegas-style, three-towered behemoth of a hotel. Despite our sweaty, bedraggled appearance, we were given excellent service: they seated us at a perfect table overlooking both the bay and the city skyline. We toasted with my French “57” (its version of the drink that was originally served at the American Bar in Paris, later Harry’s New York Bar) and Dan’s Dark ‘N’ Stormy—overpriced but nonetheless a delightful VERY FINAL hurrah. After that celebratory toast, we managed to find one open restaurant, CoCo ICHIBANYA curry house, and gave that Japanese curry hell. On our day of departure, after checking in at Changi Airport, we headed down to its ginormous food court and got our last kaya toast “Set A” at Ya Kun Kaya Toast. It was glorious. As we walked to our gate, we saw more of the deluxe airport, took pictures, and then had uneventful flights home. It took over two weeks to recover from the jet lag. It was worth it. It seems fitting for my last entry to be about Alien Citizen. I was first introduced to The Displaced Nation via an interview by amazing founder and editor ML Awanohara, when Alien Citizen was having its world premiere in Hollywood in 2013. ML asked me to write this column not long after the show’s first run ended, and it has been an honor to interview numerous fellow creative ATCKs for TCK Talent. They have all inspired, touched, and educated me. In the meantime, Alien Citizen has traveled around the USA on the college circuit, to festivals and conferences, and to private retreats and galas. It has also traveled the world to theatres, conferences, and international schools in Central America, Iceland, Europe, Africa, and now Asia. Furthermore, it was the catalyst for the workshops I now lead. We’ve come a very long way and we’re not even close to finishing the journey. I feel privileged to have written for The Displaced Nation and am ever grateful to ML Awanohara for giving me the opportunity. Thank you, dear readers, for following along. Thank YOU, Lisa, and the fondest of farewells! I will miss you. You really “got” what the Displaced Nation is about and over the years have showcased so many internationals who are now leading creative lives. You’ve also served as a shining example of that yourself, by reporting on the progress of your show—and several of those reports, like this one, have also been fascinating travelogues. I’m just so glad that the column you have created and shaped, highlighting the many talents of Adult Third Culture kids, will carry on in your wake. (Thank you, Dounia!) Meantime, please promise us you’ll come back to our fair shores from time to time for a visit—and perhaps even the occasional update post. Readers, please leave questions, comments, words of farewell 😥 😥 😥 to Lisa below. Elizabeth (Lisa) Liang is a prime example of what she writes about in this column: an Adult Third Culture Kid working in a creative field. A Guatemalan-American of Chinese-Spanish-Irish-French-German-English descent, she is an actor, writer, and producer who created the solo show Alien Citizen: an earth odyssey, which has been touring internationally. To keep up with Lisa’s progress, be sure to visit her blog, Suitcasefactory. You can also follow her on Twitter and on Facebook. Photo credits: Top visual: Singapore cityscape and garden images via Pixabay; Elizabeth Liang performing at the Canadian International School in Singapore, by Jacquie Weber (supplied); Alien Citizen (poster, supplied); and TCK Talent branding. Second visual: (clockwise from top left) Kaya Toast “Set A” breakfast at Toast Junction, by Daniel Lawrence (supplied); MRT image via Pixabay; Lisa at the ION Mall, selfie (supplied); and Chinese and Japanese gardens, Bonsai section, Singapore, by R Barraez D’Lucca via Flickr (CC BY 2.0). Third visual: Lisa performing at the Canadian International School in Singapore, by Jacquie Weber (supplied). Fourth visual: (clockwise from top left) Sri Srinivasa Perumal Temple via Pixabay; Daniel Lawrence in front of Sakya Muni Buddha Gaya Temple, by Lisa Liang (supplied); Muthu’s fish head curry, by Krista, and Arab Street and Sunday lunch, by Bryn Pinzgauer—both via Flickr (CC BY 2.0). Fifth visual: Singapore American School dressing room, selfie (supplied); and Singapore American School long shot, by Daniel Lawrence (supplied). Sixth visual: (top row) Lisa at Flight Bar, Marina Bay Sands Hotel, by Daniel Lawrence (supplied); and Elephant at Night – Night Safari Zoo – Singapore, by Glen Bowman via Flickr (CC BY-SA 2.0); (middle row) Lisa at the Merlion, by Daniel Lawrence (supplied); one of many buddhas in Buddha Tooth Relic Temple, by Lisa Liang (supplied); (bottom row) Changi Airport departure, by Lisa Liang (supplied); High Tea, Raffles Hotel, by llbrarianidol via Flickr (CC BY 2.0). Beth Green at a Buddhist temple in Cebu City in the Philippines, during Chinese New Year (supplied). Transitions enthusiast H.E. Rybol is back with her latest interview guest. Ahoy, Displaced Nationers! This month, fellow Displaced Nation columnist Beth Green takes us on a brief tour of her extensive, initially aquatic travels. You know how children test the waters? Well, Beth got to do that quite literally. That’s right, Beth spent her childhood on a sailboat! Doesn’t that sound mouth-watering? Though I must admit that with my predisposition for motion sickness I’d probably spend most of the time with my head over the railing. Anyhoo, Beth now lives on land—in Prague, the Czech Republic—where she works as a freelance writer and English-language coach. She is also a member of the Sisters in Crime mystery writers’ association. Upon discovering she is a traveler, bookworm and lover of spookiness, I knew I had to interview Beth for this column! And luckily for us, she kindly agreed to share her culture shock stories. Join us as we talk about opening a conversation with an apology, cringing at our own meltdowns, sending stuff back in restaurants (or not! ), and working weekends to make up for weekday public holidays (say what?!). You never know, you may pick up a few items for your culture shock toolbox! I’ve never lived anywhere for very long! As a kid, I traveled with my parents on a sailboat. We were in the Caribbean for seven years and the South Pacific for two, with stops along the coastal United States in between. I went to high school in Alaska and to university in the continental USA, but my junior year of university I went to Spain on exchange for a year. That experience inspired me to move to Europe when I graduated and work for a bit. I lived in the Czech Republic for three years, where I met my now-husband (who’s Australian…of course!). Then, we moved to China together to teach English. We were there for four-and-a-half years all together—but with a break in the middle when we did a long backpacking tour of Southeast Asia and India that included living on an island in Thailand for five months. After touching down briefly in the Philippines and Thailand again, we’ve been back in the Czech Republic for the past two years. In the course of these many transitions, have you ever ended up with your foot in your mouth? Oh, sure! The first time I moved to the Czech Republic I quickly realized I needed to start every conversation in Czech with an apology. That way I could make up for the inevitable times when I forgot to whom I should give kisses on the cheek rather than shake hands, or failed to greet everyone properly (as is customary in many more situations in Central Europe than in other cultures—you say “hello” and “goodbye” even to strangers in elevators). China as well was a tricky place to stay on the right side of etiquette. Speaking of which, I can recall an embarrassing meltdown I had once in China after being served a mango-papaya smoothie (what I had actually ordered, I realized later) rather than a melon smoothie like I thought I was getting. I lost all kinds of “face” that day. Photo credit: Women kissing at bus stop in Paris, France, by Steven Depolo via Flickr (CC BY 2.0). How should you have handled that situation? What if any tools have you developed to adapt to this kind of scenario? What I should have done—and what I learned to do later when I inevitably ordered the wrong thing due to either fanciful names on the menu or my ham-tongued attempts to speak and understand Mandarin—was just to give my smoothie to someone else and order another one. In certain cultures, you just can’t send stuff back in a restaurant! In other words, I had to get better at tacking: that’s when you zigzag back and forth with your sailboat instead of sailing right into the wind. I had to reminding myself constantly that expect the unexpected and not to make too many waves. Like the time in China when I was told that we would all work on Saturday to make up for a public holiday on Monday. What? That’s considered normal? Well, this will be a fun story later! And, I’d better make a note to check my next contract veeerrry thoroughly! Photo credits: (Top) Charm- and confidence-boosting smoothie, Ghangzhou, China, by Cory Doctorow via Flickr (CC BY-SA 2.0); Breakfast (Shanghai, China), by Martin Slavin via Flickr (CC BY-SA 2.0); dissatisfied character via Pixabay. enrolling in a refresher language course. Of course, I’m lucky that I had the option to do all of those things—not everyone will when they move cultures. If you had any advice for someone moving abroad for the first time, what tool would you suggest they develop first and why? This advice is easy to give and hard to follow: develop patience and also trust in yourself: you will make progress eventually. Patience for yourself for not “catching on” quickly to situations (I find that culture shock seems to lower your IQ a bit at first! ), patience for local people who might not understand your expectations (even though they’re crystal clear to you), patience for the culture shock itself. If we go back to our sailing metaphor: By tacking, you move into the wind gradually. But the zigzagging doesn’t necessarily slow you down. You can learn to tack efficiently—that’s what I tried to do when seeking help for some of the more stressful challenges of settling back into life in Prague. Use your first few months wisely, and eventually your culture shock will go away! Tacking is the Blu-Tack of the culture shock toolkit. Photo credits: Tacking upwind, by Tom Purves via Flickr (CC BY 2.0); Old blu-tack packaging, by Clive Darra via Flickr (CC BY-SA 2.0). Thank you so much, Beth, for sharing your experience with us! Like you said, if you develop the sailor’s tacking skill, soon it’ll all be water under the bridge. Plus, as you also pointed out, you’ll have great travel yarns to share! In the end, it’s the situations that are most difficult to navigate that make for the best lessons, right?! That’s what I love about culture shock: the lessons we learn and the way our horizons shift as a result. Readers, what do you make of Beth’s advice? 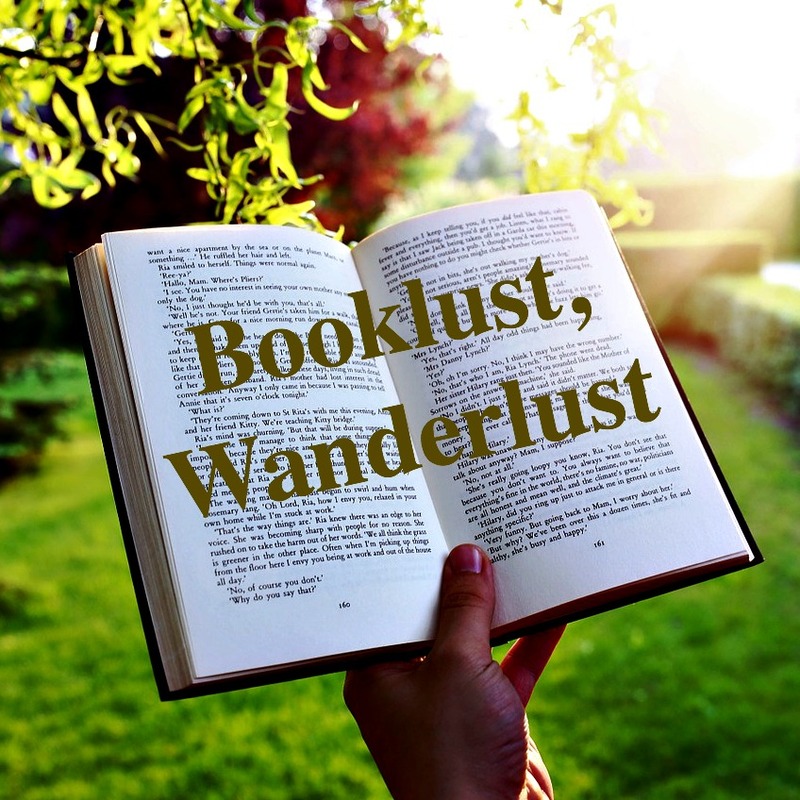 If you like what she has to say, I recommend you visit her Booklust, Wanderlust book review column here on the Displaced Nation, as well as her personal site. And as those who frequent her column know, she’s a social media nut: find her on Facebook and Twitter.